In the heart of Alto Alentejo and situated between Elvas and Badajoz, Quinta de Santo António is a veritable oasis for those who seek tranquillity, beauty and superior quality of service. Quinta de Santo António currently encompasses 17 hectares and lies within the Herdade da Amoreira estate. It portrays the Alentejo in an atmosphere rich in tradition which takes one back in time. 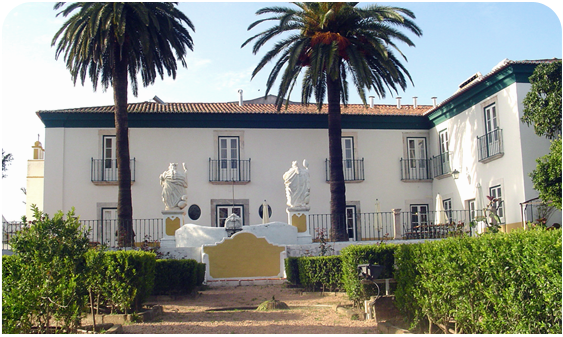 The main building, in conjunction with its chapel erected in 1715, embodies the finest architecture of the traditional estates, and blends harmoniously with the XVIII gardens and the distinctive rural Alentejo landscape. A mere 7km from Quinta de Santo António is the delightful city of Elvas with its vast historical heritage and distinguished monuments, in particular, the magnificent Aqueduto da Amoreira and the bulwark fortifications which are candidate sites to World Cultural Heritage status. From a cultural perspective, the city also known as the “Key to the Kingdom”, offers the visitor a myriad of options such as the Museum of Sacred Art, Modern Art Museum, Military Museum and the Photography Museum.